Home Straps Buckle up, it’s seatbelt strap time again with Cincy Strap Co.
Buckle up, it’s seatbelt strap time again with Cincy Strap Co.
We talk a lot about watches, but very rarely about the easiest way to dress them up or down – straps. 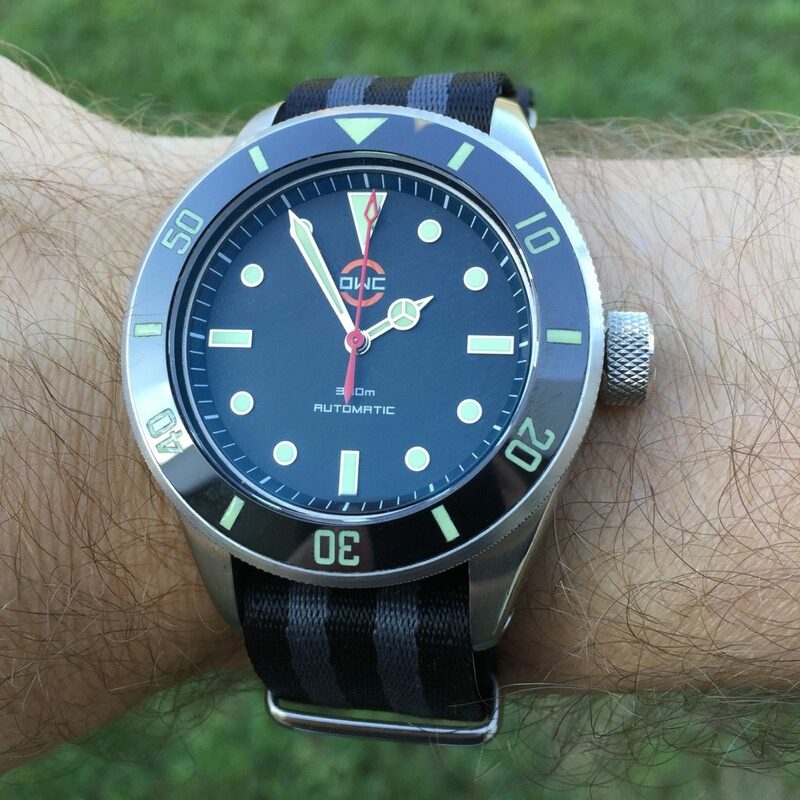 With that in mind, I’d like to introduce you to Cincy Strap Co., a husband/wife team in Ohio, who are continuously improving the quality of their NATO, RAF, and Mil-spec straps. Sure, it’s just bits of nylon, but baby, let’s let bygones by bygones. It’s strap time! The seatbelt strap is commonly thought of as having started with the Omega black-grey bond watch style. It’s a soft, fine weave, and was great in the Omega iteration — at an eye-watering price of around 200 USD. Fortunately, Cincy Strap Co. has them for $24 USD, making them an excellent deal. The hardware is excellent, and features square loops and a flat buckle, in either brushed, polished, or PVD black stainless steel. One of the key details that makes a Cincy Strap Co strap worth it is, the stitching and heat-sealed edges have never scratched the inside of my wrist, unlike some other straps I’ve tried. The straps themselves are available in a wide range of colors, whether it’s orange and black, gray, gray and black, black and white, a MN style green with yellow stripe, and much, much more. As mentioned before, there’s continued refinement on the hardware portion of the strap, with slightly beefier keepers, better squared corners, and a slightly thicker buckle, all making for a higher-quality strap. The November 2017 WWR Giveaway – a surplus of straps!